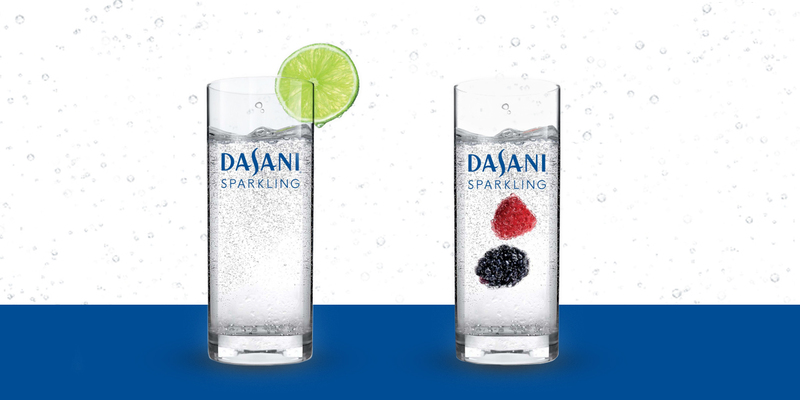 The demand for DASANI® Sparkling water, with its exciting flavors and refreshingly crisp taste, continues to grow. Work, mealtime, chilling out or on the go — consumers choose DASANI Sparkling because they appreciate the combination of flavor and fizz. Now foodservice operators can cater to these bubble-loving customers with a fountain option, thanks to the availability of DASANI Sparkling in the 2.5-gallon bag-in-box (BIB) format. Across all beverage categories, water is the second largest category and No.1 in value growth.1 Among health-conscious consumers, particularly millennials and parents of younger children, the quest for a naturally flavored, zero-calorie, great-tasting option has fostered revenue opportunity for brands within the water category. When bubbles are added, the excitement builds — which is also why sparkling drinks are so popular. The message to foodservice operators: Ride the wave to increase incidences and sales. As a water brand, DASANI enjoys broad appeal and has an 86.7% awareness among consumers,4 providing a promising foundation for the fountain category. Following the popularity for DASANI Sparkling in 8-pack cans, 2.5-gallon BIBs are available in lime, berry, black cherry, strawberry guava, blood orange and tropical pineapple. Operators can cater to consumers looking for an unsweetened, zero-calorie beverage without artificial flavors or juices by adding DASANI Sparkling to the fountain lineup. For equipment or branded point-of-sale elements, contact your Coca-Cola representative.